Dr. Mark Green, Professor and Associate Head in the Department of Civil Engineering at Queen's University, is interested in the structural performance in fire of concrete structures, applications of fibre reinforced polymers (FRPs) in structures, the effects of cold regions on concrete structures, and monitoring of structures. In particular, he has conducted extensive research over the past ten years on the fire resistance of FRP strengthened concrete structures. He has also examined the effects of cold regions on FRP strengthened concrete structures. He is currently researching methods for monitoring concrete bridges at low temperatures, fire resistance of FRP strengthened concrete structures, new self-healing materials for waterproofing concrete structures, FRPs for advanced rapid transit systems, and the fire performance of buildings constructed with sustainable concretes. The dynamics of bridge structures and the performance of bridge expansion joints are also topics of interest. He is a member of Mohawks of the Bay of Quinte and an advisor to the Dean of Engineering and Applied Science on the development of an Aboriginal Access to Engineering Program. Dr. Xiaoyi Bao is a Professor of Physics at the University of Ottawa. Dr. Bao's research includes study of nonlinear effects in fibers for sensing, devices and communications, development of distributed fiber optics sensors for temperature, strain, vibration, acoustic wave, birefringence and refractive index for chemical and bio-sensing, static and dynamic monitoring of civil structures, nonlinear scattering and parametric amplifications, study of the dynamic polarization mode dispersion effects in field fibers, Rayleigh, Brillouin and Raman scattering based distributed sensors and their applications; micro- and nano -fibers based sensors and devices, and highly coherent fiber laser design and development. From 1994 to 2000 she was a Professor at the University of New Brunswick. In 2000 she joined the Department of Physics of the University of Ottawa as a professor. In 2003 she became a Canada Research Chair (Tier I) in Fibre Optics and Photonics. She received the University of Ottawa Inventor of the Year Award for 2003. She is fellow of Royal Society of Canada (RSC), Optical Society of America (OSA) and SPIE. She has published over 210 refereed journal papers in journals. Dr. Douglas Thomson is a Professor in the Department of Electrical and Computer Engineering at the University of Manitoba. He received his Ph.D. from Stanford University (1986). He has over 100 Refereed Journal Articles and 7 patents. 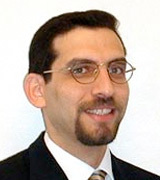 He has held positions as Chief Technology officer (97-2000, MFI Technologies), Assoc. Dean (99-2004,2011-present), Professor and Director of the ISIS Canada support centre. He has been on the ISHMII council (Council overseeing ISHMII, which is the only international society devoted to the structural health monitoring of civil infrastructure) 2003-2009 Member of the ISIS Canada (NCE) Research Management Committee - ISIS Canada is a research network dedicated to finding solutions to Canada's civil infrastructure problems. His work, in collaboration with Professor Greg Bridges, was the basis for a new product, introduced by SUSS Microtech (Munich), for use in testing next-generation microelectronic devices (IBM, AMD) with nominal 65nm features (Test and Measurement World 2005) and also developed a wireless sensor technology, two patents on this technology have been granted and a license has been granted to a Canadian company, which has manufactured over 4000 of these sensors for use the rail industry. His present research interests are in passive wireless sensors and in dielectrophoretic single cell analysis. Dr. Amir Fam is a Professor and Research Chair in the Department of Civil Engineering at Queen's University. Dr. Fam's research is focused on the use of fiber reinforced polymers (FRP) for reinforcement and prestressing of new concrete structures as well as for strengthening of existing concrete, masonry and metallic structures. He is also interested in innovative systems, including FRP structurally integrated stay-in-place formwork for concrete structures such as concrete-filled FRP tubes. This system is quite promising for a number of structural applications including piles, columns, bridge piers, hydro and light poles and highway overhead sign structures. Another focus of Dr. Fam's research is on the use of ultra-high modulus carbon-FRP (CFRP) for strengthening of steel structural members such as bridge girders, steel pipelines and steel mono-poles for hydro and telecommunication towers. 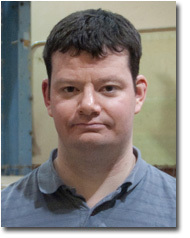 Dr. Andrew Pollard is a Professor in the Department of Mechanical Engineering at Queen's University. Professor Pollard's research interests are in computational and experimental fluid dynamics with particular interest in turbulence. His research seeks to uncover the physics of turbulence and attendant physical transport processes. Early work included modelling (Reynolds and Favre averaged) of processes that have in the past included combustion and radiation. Current work includes simulation (Direct and Large Eddy Simulation) of free round jets, incipient separation, flow in spacer filled channels, channel flows subject compressibility and pressure gradients and flow in the human airway and heart. His group has used Discontinuous Galerkin methods, Lattice Boltzmann methods and finite volume methods for their simulations. Analysis of data obtained from either DNS, LES or experiments is done using a variety of turbulence structure identification methods. Passive and active control of turbulence is used to enhance physical understanding. Experimental facilities include stereo PIV and hot wire, a 3m long flying hot wire facility, a wall jet facility and a closed loop bio-fluid facility. Professor Pollard's additional research is the introduction of low carbon fuels into industries that have traditionally relied on fossil fuels. This includes the electricity generation, cement and other sectors. This work includes solar PV, biomass and wind. Dr. Gordon Wight is a Professor in the Department of Civil Engineering at the Royal Military College of Canada. His research interests include strengthening concrete structures with FRP sheets. Dr. Dimos Polyzois is a Professor in the Department of Civil & Environmental Engineering at the University of Manitoba. 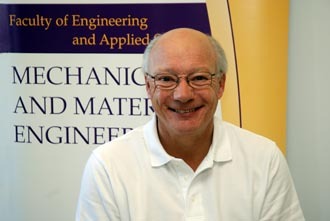 Dr. David Rival joined the Department of Mechanical and Materials Engineering at Queen's University on July 1st, 2014. His research focuses on wind energy, unsteady aerodynamics and learning from nature (biomimetics). Currently diesel engines are commonly used for remote energy generation. By introducing small wind turbines to such systems major cost savings, greater fuel independency and greenhouse-gas reductions can all be achieved. However, to-date only steady-state optimization of such systems has even been considered. In reality inflow conditions are often gusty and small wind turbines, with very low moments of inertia, generate highly transient power on a second-to-second basis. The objective of this research program is to: a) model the aerodynamics and degree of power fluctuation on a small wind turbine; b) determine how operationally a small diesel set can adapt to these fluctuations; and c) optimize this system for maximum efficiency as a function of wind conditions. The research involves both theoretical as well as experimental aspects (both in lab and outdoors). 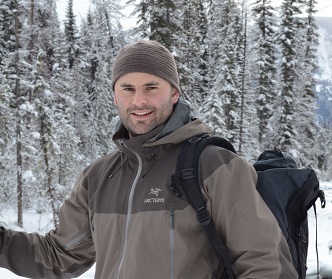 Dr. Warren Mabee is an Assistant Professor in the Department of Geography at Queen's University. His research focuses on the interface between renewable energy policy and technologies, with particular emphasis on wood energy and biofuels. This covers a broad spectrum including environmental policy, international approaches to renewable energy development, and commercialization of new products and processes. A major research project that has been undertaken at Queen’s is an evaluation of renewable energy opportunities and challenges specific to Eastern Ontario, which has been proposed as Canada’s first Renewable Energy Region. This will allow us to take a case study approach in examining policy for renewable energy options, and will provide a framework for expert advice to both federal and provincial governments on the development of strategies to reduce our reliance upon fossil energy sources. This research approach builds on international examples, in Sweden, Germany, Japan, and elsewhere, of successful regional strategies to develop renewable energy solutions. Dr. Mabee's research program is strongly connected to the activities of the International Energy Agency’s Bioenergy Task 39 ‘Liquid biofuels’, which offers us an avenue to explore different approaches to new energy systems, and gives my students a window to the world of international technology and policy development. We are also engaged in partnerships with our neighbours in the USA, through mechanisms including the IEA and the Great Lakes Sustainable Energy Consortium. At Queen’s, Dr. Mabee is closely associated with the Sustainable Bioeconomy Centre (focused on technology solutions to drive the bioeconomy forward) and Queen’s Institute for Energy and Environmental Policy (focused on a portfolio of environmental and energy-related issues). 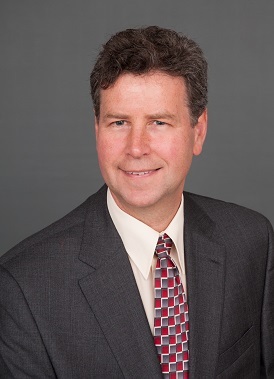 Dr. Stephen Harrison has many years of experience in the development and evaluation of solar energy equipment. Author of numerous technical papers and patents, he is the Director of the Solar Calorimetry Laboratory at Queen’s University in Kingston, ON. The laboratory supports the efforts of graduate students and post-doctoral researchers, and undertakes applied research for industry and government partners. His past experience includes 8 years as a research officer at the National Research Council of Canada, where he was involved in the development of both national and international standards for solar heating equipment. In 1999, he co-founded Enerworks Inc., (www.EnerWorks.com) a leading manufacturer of solar thermal products in North America, and in 2005, he became the Theme Leader for Solar Heating and Cooling within the Canadian Solar Buildings Research Network (www.solarbuildings.ca). The Network includes the participation of researchers at 11 universities across Canada. As a faculty member in the Department of Mechanical and Materials Engineering, he presents courses in renewable energy, heat transfer and thermodynamics. Dr. Harrison has also been the Faculty Advisor for the Queen's University Solar Vehicle Team since 1988 (now Queen's Solar Design Team) and is currently the Queen's Faculty Advisor for Team Ontario's entry to the USDOE Solar Decathlon Competition. 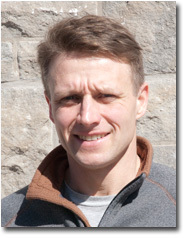 Dr. Martin Noël is an Assistant Professor in the Department of Civil Engineering at the University of Ottawa. Dr. Noël’s research interests include the behaviour and durability of concrete structures and composite materials, as well as the use of sustainable building materials and structural health monitoring applications. The path forward towards sustainable construction involves a reduced dependence on non-renewable materials and high-energy/high-emission manufacturing processes, while finding ways to re-use and recycle decommissioned structures. While the advantages of using sustainable building materials are evident, their long term durability and structural performance when exposed to severe environmental and structural loading conditions requires further study. In addition to advanced, sophisticated sensing technologies, there is also a need for practical, low-cost and rugged structural health monitoring technologies for applications in remote areas and cold regions. Dr. Noël's research aims to address these challenges in order to improve the sustainability and durability of civil engineering structures.